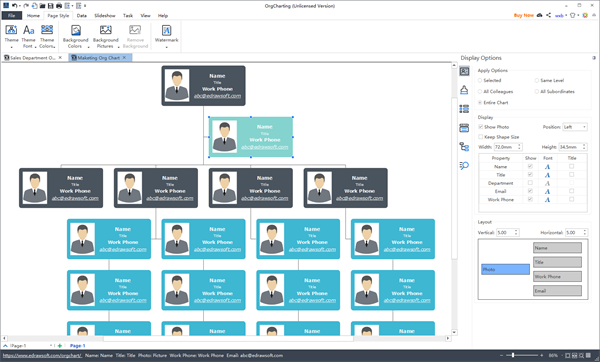 OrgCharting helps create professional-looking organization charts to visualize your company data for better strategic planning and decision making. Easily facilitate human resources department with employee data management and workforce planning. Upload your empoyee data with a CSV, XLSX, or TXT file, then generate a chart automatically. One button to resynchronize your org chart with updated data source.